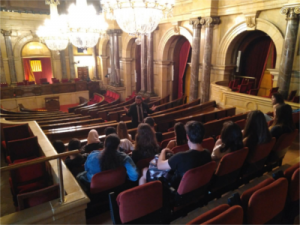 On 27 April 1st GAD students went to the Parliament of Catalonia, where they visited some of the venues and learned the operation of this important institution Catalan. 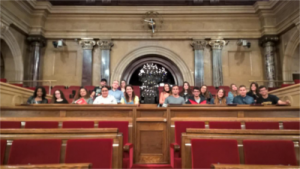 After Caixafòrum walked up to participate in a workshop on entrepreneurship that was very dynamic and fun, while enriching. It was a very rewarding day for all!!! You can see more photos of the exit here. Now we are finishing the cycle and some of them consider entering the labor market soon, These activities are necessary and are very enriching. 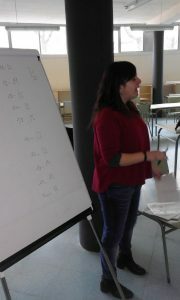 On Wednesday 20 January we visited Mrs.. Laura Vilarrasa career planner Youth Office Youth Vallès Oriental. We did a workshop and shop talk Let's get (selection process) students in Intermediate Vocational Training 2nd 1st Commercial Activities and Administrative Management. 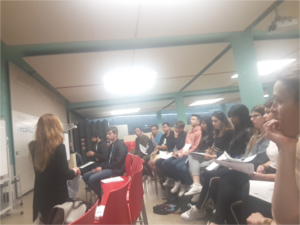 On 16 December, students 2GAD, participated in a workshop offered by the counseling office working young youth, Laura Vilarrasa. 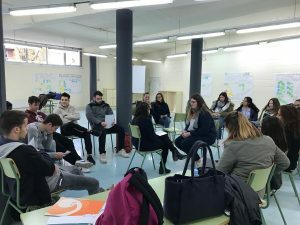 The workshop consisted of several dynamics, from Psycho, through the choice of jobs, the analysis of curriculum, to participate in a job interview. Many thanks to Laura for her work. You can see more photos of the workshop here.